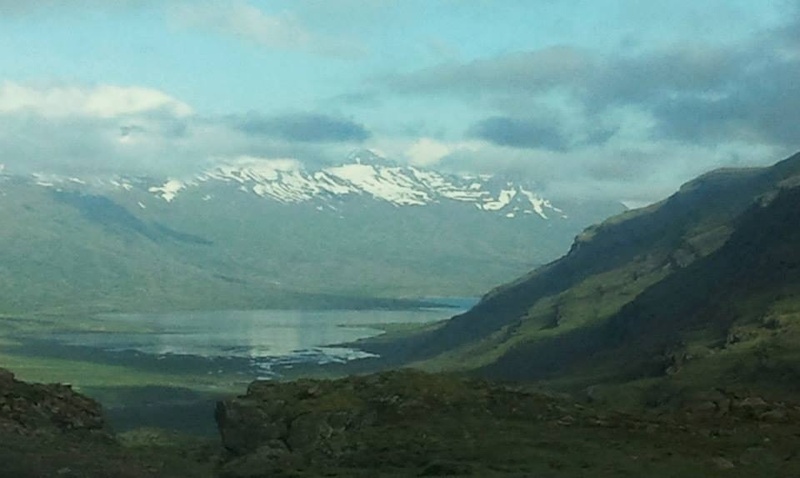 Dramatic: from the endless scenic landscapes, to the ancient tales of it’s early Viking settler’s, to the turbulent natural forces lying in wait… The first word of association when I think Iceland is dramatic. From the moment the plane entered the airspace above, i could tell this place was special. 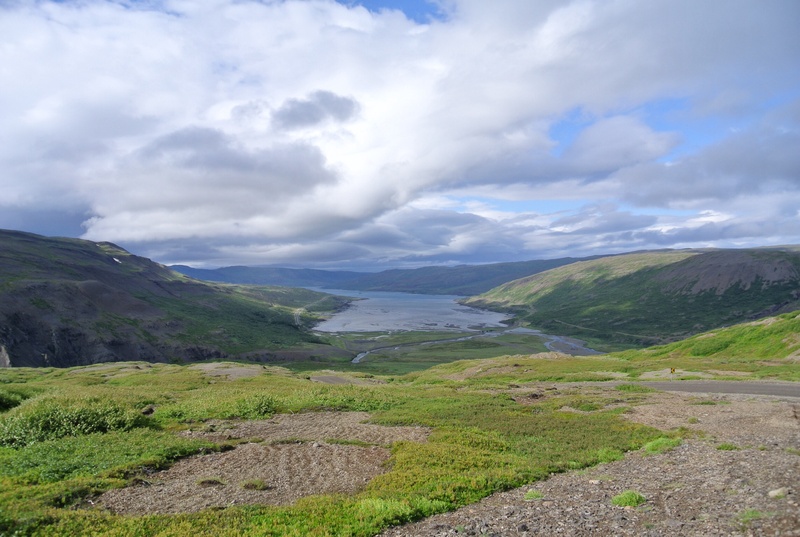 At midnight, the sun still resting upon the tropospheric horizon ; the clouds which had three very distinctive layers, so pronounced, allowing a peek through to the wild and beautiful landscape that lie below of stark green butting up to massive glacial peaks. 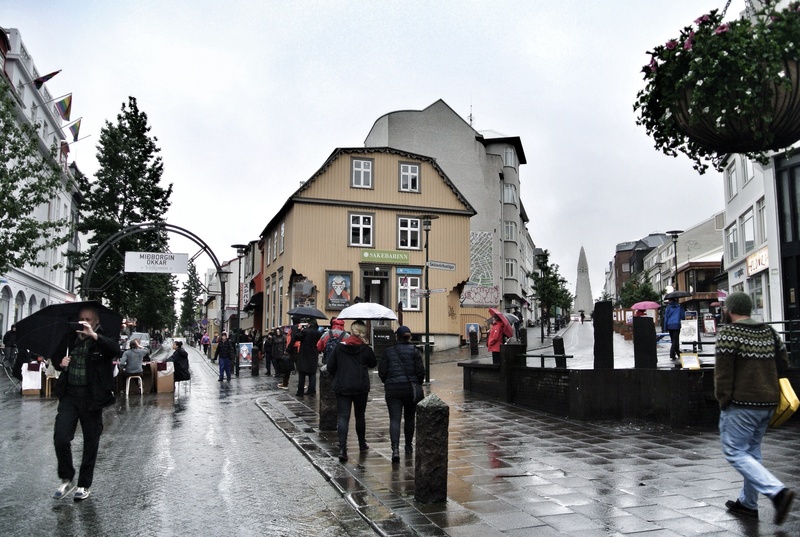 The capital city of Reykjavik is home to only 120,000. 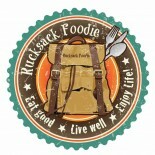 With a very stylish yet homey downtown area. The rain was massive this day so not many pictures. liquor stores (of which there are 48) or cafe/bars and day time drinking is strictly frowned upon. In fact beer was illegal in Iceland until 1989, schnapps and other distilled beverages being the poison of choice prior to. Now there are 12 microbreweries and what seems to be an unlimited amount of norse style pilsner beer, Gull being the king of tap from what little i saw. We did partake in some heavenly yet potent local schnapps recommended by the bartender which he poured from a mysterious unmarked bottle with a cheeky grin…it was very good!! Once on the road it was one breath taking vista after another. With a country so rich in natural wonders and still climbing out of a crushing economic down turn, it was pleasing and surprising that EVERY amazing natural wonder and site of interest was FREE to enter, view and hike about, and all with extremely well maintained paths, signage and many with public services near the car parks. From enormous ranges bordering the inland glacial regions, to vast flat landscapes of odd rock formations. From ominous clouds resting upon the occluded mountain tops, to impressive roadside water falls rushing with glacial run off to the sea coast only a stones throw away. No picture i could have taken (even if the weather would have been cooperative) would ever express the breathtaking sights i took in on this trip. Our trusty map, the ring road being the dark marked route, although we did take many detours! 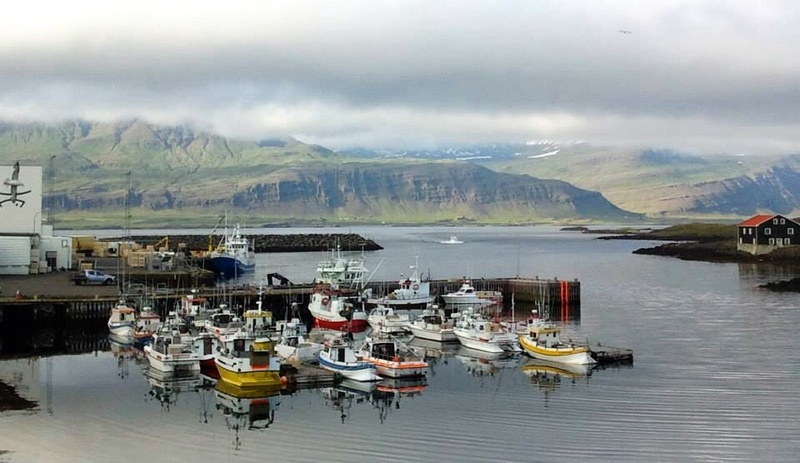 40 years ago connecting many of Iceland’s most densely populated and remote areas, a mere 1332 km (828 miles). 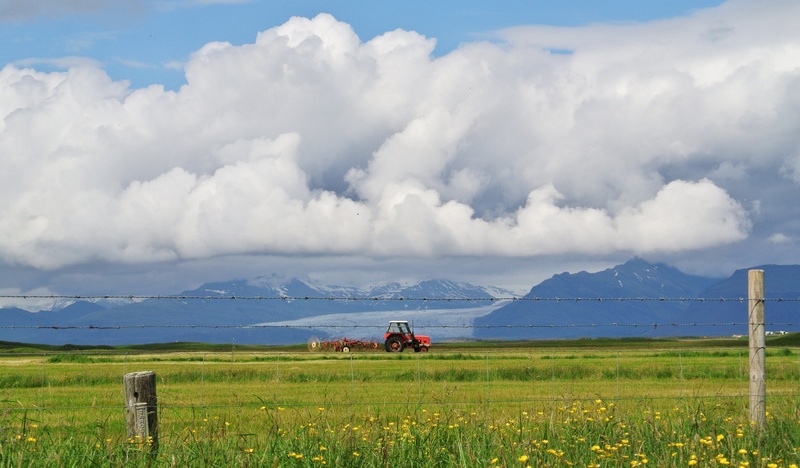 As a point of reference, Iceland compares in size to the US state of Kentucky and to Ireland, with little over 250,000 residents. Even with a country who recently experienced a drastic economic failure the road system is very well maintained and well marked with signage, however be prepared as the numerous natural wonders of this volatile land are widely spread across this island. Many miles are spent climbing and descending drastic altitude changes along curvy back roads, through surreal moonscapes, accompanied by smatterings of farms. It was not uncommon to drive an hour and a half to two hours before coming upon anything resembling modern conveniences (i was in heaven!!) 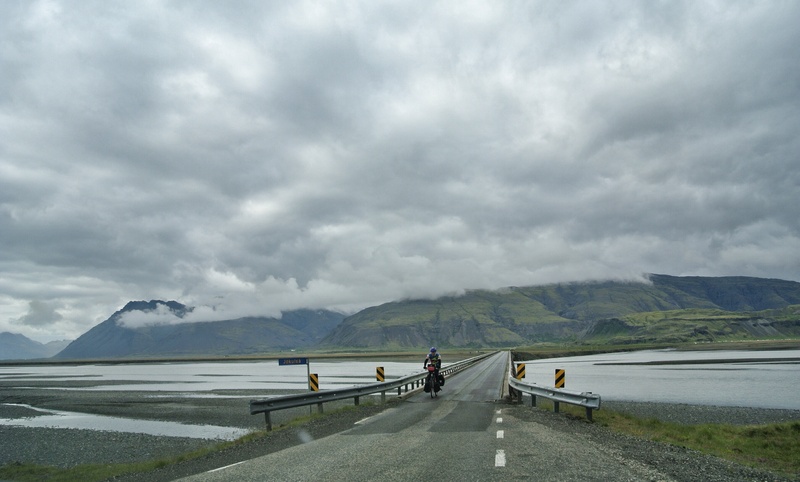 Any slow downs in traffic was either sheep crossing the road, passing a brave cyclist or allowing the random oncoming tourist first crossing on the one lane bridges. The natural roadside attractions are some of the most astounding in the world. Roadside water falls reaching 12 stories high become common sites all along the Ring Road, although still mindblowing each time we stopped to admire. 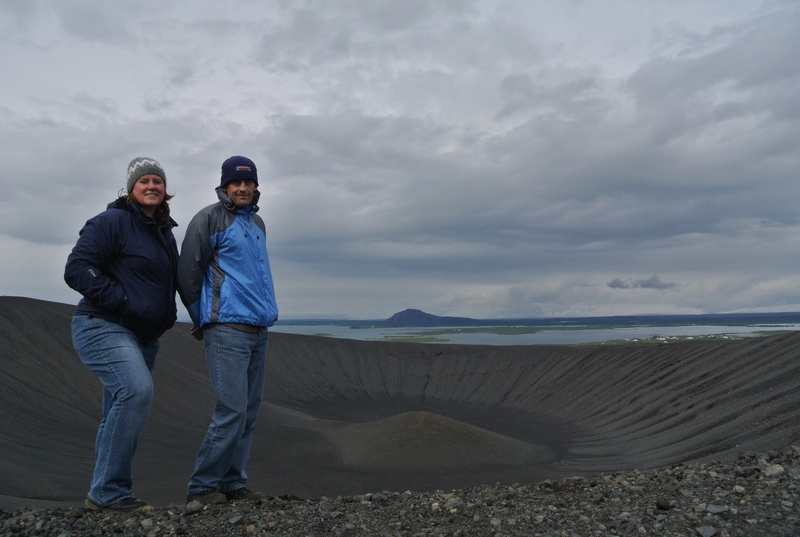 Nature’s power is evident as massive cracks in the earths crust trail on for miles in the shadow of Hverfjall crater, housing geothermal hot springs throughout. In the Mytvan Region, Nature’s forces are very evident and still present. Three large craters shadow the area who have previously left massive lava fields still home to pockets of bubbling mud pits and steaming cracks in the earth. The shallow lake with it’s unique rock outcroppings is a gorgeous area to hike and bird watch, and though the area is one of the driest in the country unfortunately our visit was hampered by a cold constant rain. If all that is not enough to remind you of the powerful forces still rumbling closely below, it becomes obvious as you pass the massive geothermal plant harnessing power from the steaming base of the volcano Krafla. For centuries the locals about Mytvan have enjoyed their own natural spa with hot springs inside the caves formed under the ancient lava flows, however for the past few decades the main caves have become too hot for all-natural bathing but the locals still have managed to source out a few safe and secretive spots to enjoy. Of which the location was graciously shared with us by our campsite hostess, but due to time restraints we only took a peek at and did not partake…although next time for sure!! 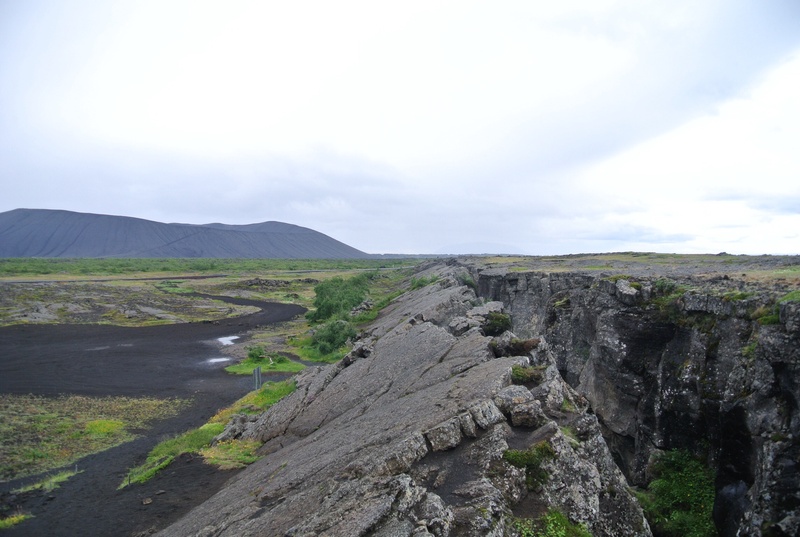 For little over 50 years (874ad – 930ad) this rugged landscape was fully explored by the Viking settlers and by 930ad power clans were claiming regions, a form of fair government with no unruly monarch (like back home in Scandinavia) was needed hence they established the Icelandic Commonwealth which was the first ever European parliament/general assembly to be formed, at Pingvellier, and remained so until the 18th century. A site that not only was accessible my most all regions but incidentally sat directly upon the the continental drift between the North American and Eurasian tectonic plates and next to the largest lake on the island, thus becoming the country’s most important cultural and political site as well as one of the most significant geological sites. 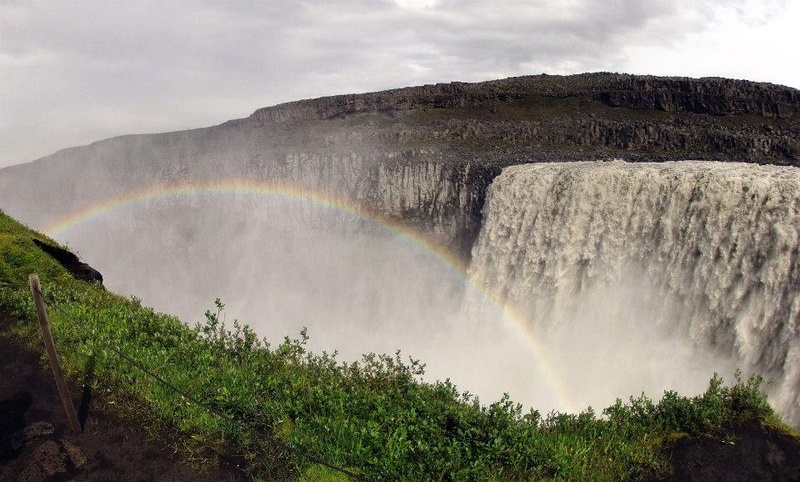 Located along the famed Golden Circle driving route, you’ll find a few fabulous natural wonders of Iceland such as the massive rips in the earths crust evident as you hike around Pingvellier, powerful Gullfoss waterfall as well as the famous Great Geysir. The name sake of all others, it lying about quietly spueing forth a bit a steam, active during periods of earthquake activity in the area. Surrounded by steaming mud pits and it’s smaller geysir cousins including the frequently erupting Strokker Geysir which sends boiling hot water and steam 30 meters (98 feet) into the air every 5 to 8 minutes. 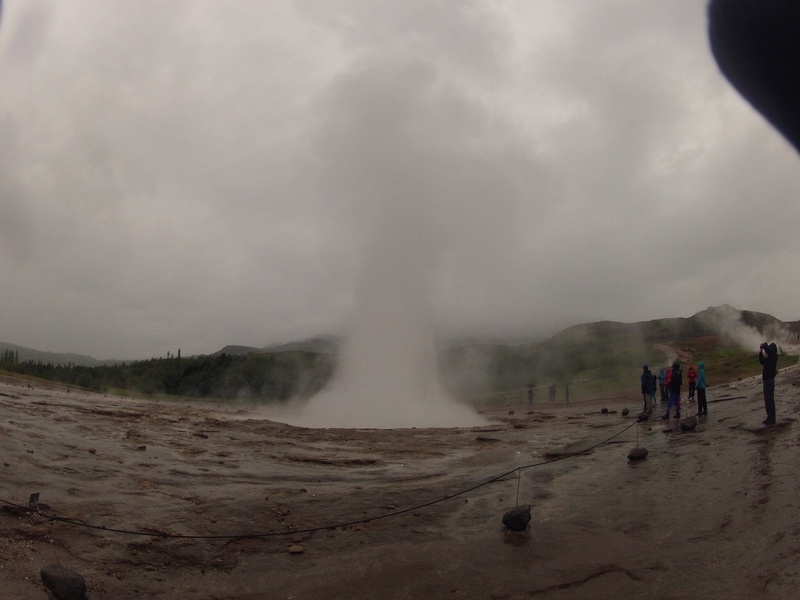 It was quick but definitely awe inspiring to witness while standing in the middle of steaming bubbling earth. 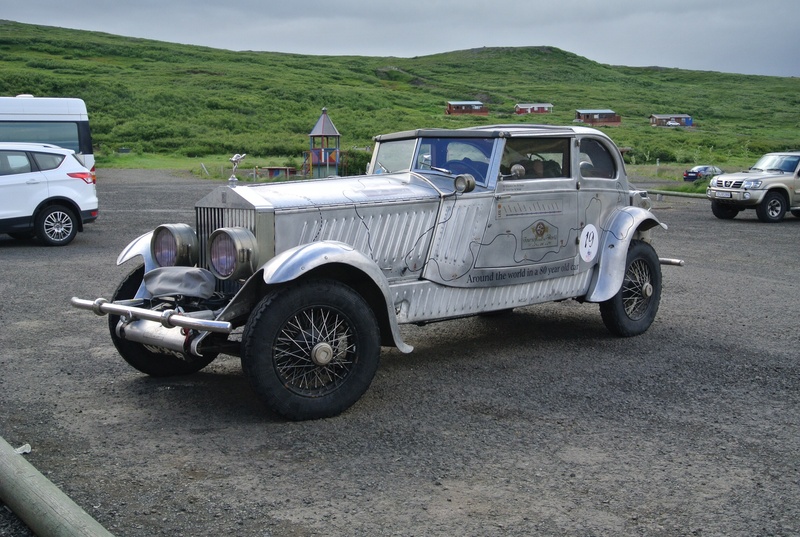 Much more Icelandic Wonder to be continued in following posts…. 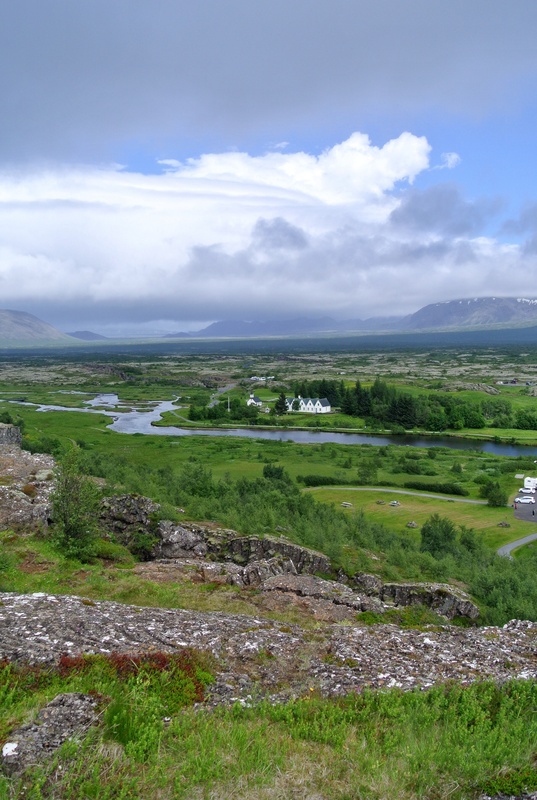 Pingvellir lake surrounded by lava fields and evidence of massive earthquakes in the past. 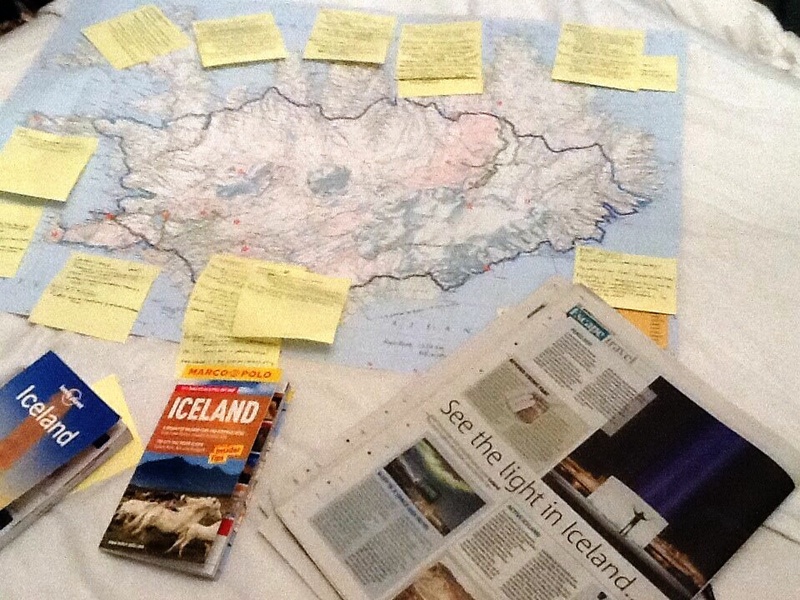 This entry was posted on July 16, 2014 by Rucksack Foodie in Extracurricular, History, Iceland, Inspiration, Stops & Stays, Travel and tagged geysir, Hverfajall crater, Iceland, Mytvan hot springs, The Ring Road, The Rucksack Foodie.